The upcoming book details what is learnt about the Benetton controversies when Michael Schumacher tested a Ligier for one day in December 1994. For instance was the German as impressive when not driving a Benetton? Before we answer this let us remember the background surrounding this test. In early 1994 the Ligier team was in financial trouble following its team owner, Cyril de Rouvre, having been jailed on fraud charges. Benetton directors, Flavio Briatore and Tom Walkinshaw, bought the struggling French outfit in May 1994 following months of conveyancing. 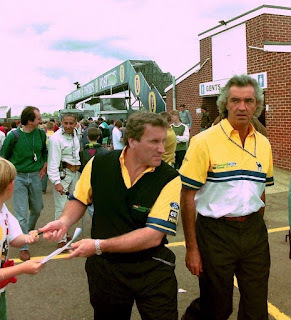 Within this transaction, they were partly acting for the Benetton family - their paymasters - who wanted Ligier's prized supply of Renault engines having failed to acquire them via more conventional means during 1993. This was because their rivals, Williams, had stopped Benetton advances towards the French engine supplier by giving Ligier assistance with gearboxes etc throughout 1993. Williams' strategy was to keep Ligier competitive enough to maintain Renault's interest in it rather than Benetton. Following the 1994 acquisition, Walkinshaw owned a minor stake in Ligier but dreamt of owning the whole team and bringing it Grand Prix success with Ross Brawn. While Briatore, another stakeholder, was simply happy to be a sleeping partner and saw the Liger purchase as just another of his investments. Walkinshaw (left) and Briatore of Benetton. Neither were strangers to controversies, therefore many people consider Benetton guilty of the 1994 accusations simply because of their association. So as a result of the latest Mexican Grand Prix we at last have a 2018 Formula 1 world champion in Lewis Hamilton. And in the same moment we have another impressive race victory for Max Verstappen. And it means that the Motor Verso F1 season summary is approaching is final state, with my take on the Mexican round and its many implications now added to it. As ever it's also illustrated with wonderful Pirelli photography and my selection of the best Mexican Grand Prix content from YouTube. And so it is now done. As always seems the way when Lewis Hamilton has a title to claim, things in this Mexican Grand Prix weren't entirely straightforward. But fortunately for him he was by now in a place where he almost couldn't lose. In fact as it turned out he literally couldn't lose as his pursuer Sebastian Vettel didn't get the race win he needed to have a chance of keeping the title open. But whatever was the case in this one, using the worn phrase, 'the history books will show' that Hamilton's fifth world championship is unequivocal. Level with Juan Manuel Fangio and only Michael Schumacher ahead. For all that it has long seemed inevitable, and the conclusion inaptly messy, the magnitude of the achievement should not be understated. The 2018 championship fight has had plenty of parallels with that 12 months previously and it continued that way in its conclusion. Again it was resolved in Mexico. Again Hamilton did just about enough. Again his chaser Vettel battled hard but did not quite get the result he needed. As again the deciding race was dominated by Red Bull. Or rather, again, by Max Verstappen's Red Bull. 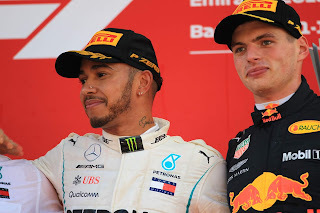 He was the fastest out there all weekend, his only partial stumble missing out on pole position at the last against expectations, to his team-mate Daniel Ricciardo – Verstappen complained afterwards about excessive engine braking. Whatever he swiftly righted things with a better start to lead. And was never seen again. There is a bit more of me than usual in this week's Autosport magazine. Over recent weeks and months I've been speaking to various people from Monoposto Racing Club past and present to explore the club's history and place within the motorsport landscape, as it celebrates its 60th anniversary year. Big thanks to all at the club for their invaluable help! Life for the F1 gambler has just got a whole lot more interesting. For however many rounds we've sought to make hay from what, at the top level, was expected with reason to be a Lewis Hamilton demonstration run. 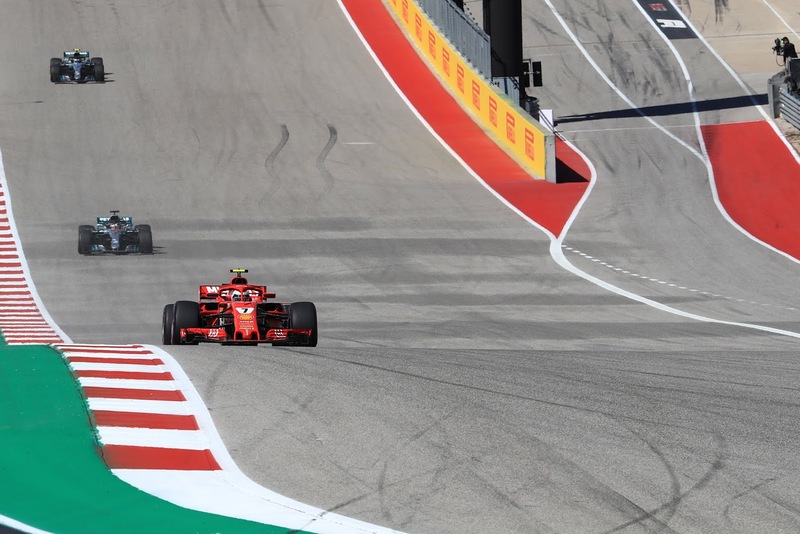 Can Ferrari continue its Austin renaissance in Mexico? Now we exist in the wake of the Austin visit last weekend, wherein the kaleidoscope was shaken. There Ferrari rediscovered the pace that it mislaid sometime in early September. Plus for the first time since before then imperious Mercedes had a messy time of it, with a dud strategy call, tyre blistering, water pump reliability problems and revising its wheels rims in fear of a protest. Hamilton hinted at problems over and above even these. Then there's where we are this weekend coming. This Autódromo Hermanos Rodríguez circuit in Mexico City is far from a standard case. Ferrari was likely the fastest car here last year and should have won. 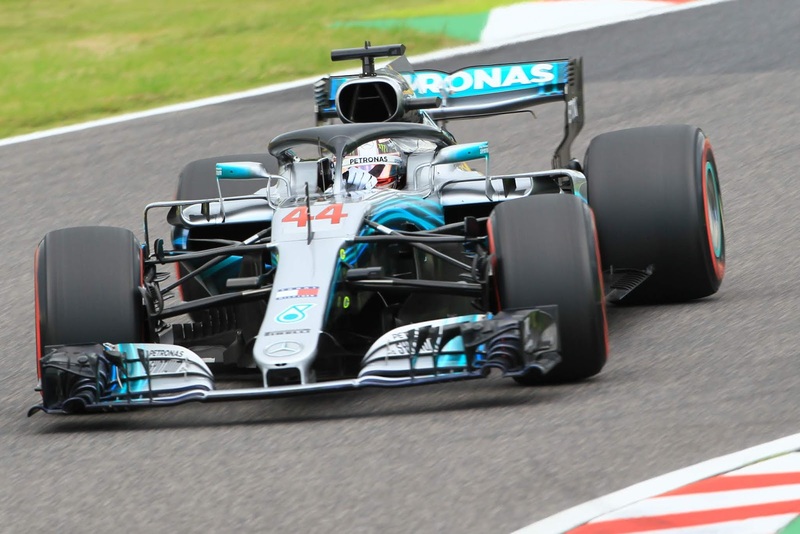 The Mercedes meanwhile doesn't appear to much like the place; the silver pair qualified four tenths off Sebastian Vettel on pole 12 months ago and in the race Valtteri Bottas - who unlike Hamilton wasn't delayed - finished almost 20 seconds behind the cruising victor Max Verstappen. So reports of the championship battle's death were greatly exaggerated. Or rather, they were premature by a week. Lewis Hamilton heading into the Mexican Grand Prix this weekend still has a little bit of work to do. Despite everything though Austin's result from last Sunday ratcheted up the certainty of his fifth drivers' title. Now he needs only five points - or to put it another way a seventh place - to make it official. Surely barring a non-finish or very severe delay he'll get it this time. Even a small delay shouldn't stop him - we've seen time and again that these days members of the six-car Class A can polish off all of Class B with minimum fuss. And perhaps it's just as well for Hamilton and Mercedes that the mathematics are straightforward, as at this Magdalena Mixhuca parkland venue in Mexico City it emphatically cannot expect a walk in the park. 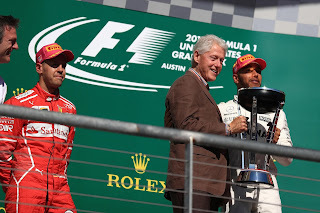 In the United States Grand Prix we expected to watch a coronation. Instead we got an episode of Whose Line is It Anyway? We thought the script was written in advance with Lewis Hamilton set to wrap up his fifth drivers' title at this his home from home circuit. But the script was discarded. We got an unlikely race with a very unlikely victor. You can read my take on Austin's goings-on in the latest iteration of the Motor Verso F1 season summary. As ever it's illustrated with wonderful Pirelli photography and my selection of the best of F1 on YouTube. It was supposed to a coronation. 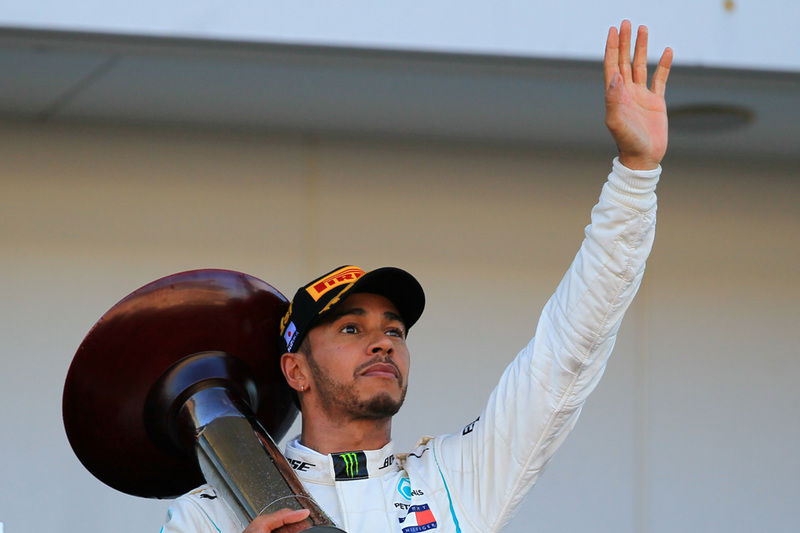 In this United States Grand Prix a result of the sort we'd got used to lately repeated would secure Lewis Hamilton's fifth world championship. And Austin is just about his happiest hunting ground. Plus Ferrari, his closest challenger, was imploding. But Formula 1, despite some convincing impressions otherwise, has a nagging tendency not to follow its predetermined scripts. This one instead turned out to be an improv show. It went off script early too. Ferrari somehow rediscovered its pace that had gone missing since the Italian round. Although with it the team stuck firmly to its recent lines of going a way to scupper itself nevertheless. Or rather Hamilton's title rival Sebastian Vettel did. He didn't slow sufficiently under a red flag in practice and had three added to his qualifying slot in advance. Hamilton got the pole, like he always seems to somehow, but the red cars were right on his case. 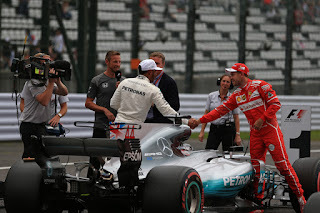 It all left Vettel's Ferrari stable-mate Kimi Raikkonen starting alongside Hamilton on the front row – a man who in his second Scuderia spell has tended to fumble the rare opportunities for glory tossed his way. 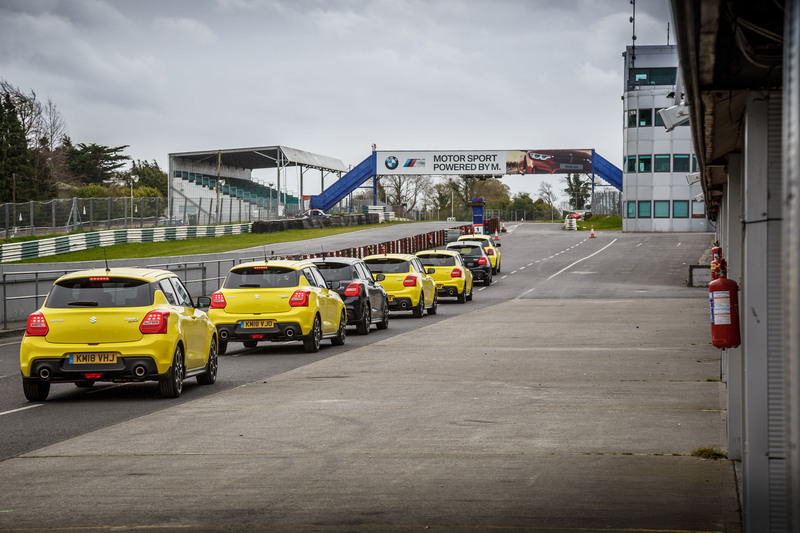 Plus among the front-runners he alone started on the ultra-soft tyre rather than the the more durable super-soft. But in the race we immediately got our latest evidence that this one was indeed diverging from what was written, and in a conspicuous way as Raikkonen for the first time in 37 races made up a place from his starting slot on the first lap. The ultimate one of taking the lead from Hamilton by seizing the inside of turn one. 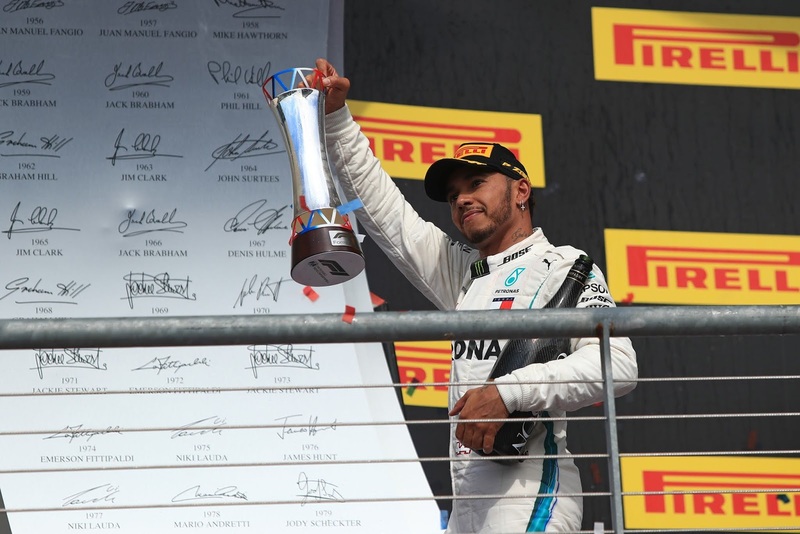 Will Lewis Hamilton clinch his 5th World Championship title at this weekend's United States Grand Prix? 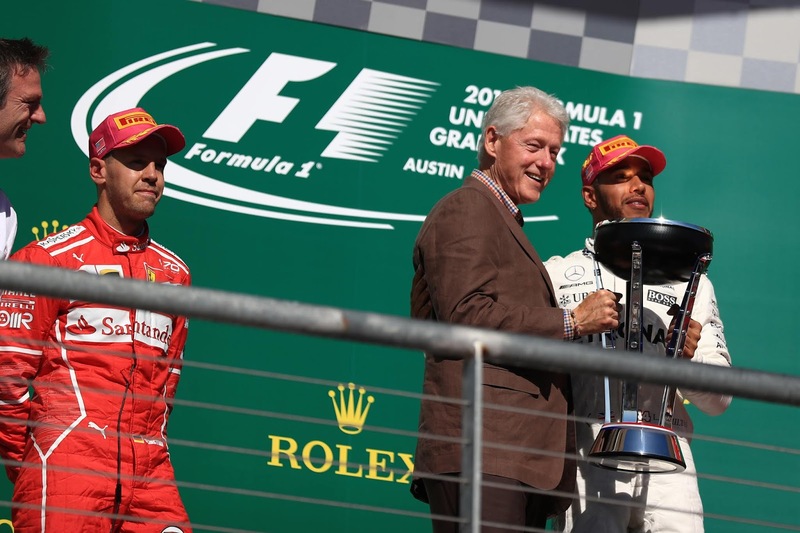 Will Donald Trump follow Vladimir Putin's lead and attend the race at the Circuit of the Americas? Well, what we are more concerned about is Formula 1 not replacing our beloved and iconic chequered flag with a digital version next season. Also in this week's episode of the Inside Line F1 Podcast, we express surprise at how soon before Michael Schumacher and Valentino Rossi's records in Formula 1 and MotoGP (respectively) could be broken. It seems funny to see Lance Stroll give 'Formula 1 career advice' to Mick Schumacher. And of course, at Liberty Media's home race, we applaud their marketing efforts, but wonder if they are running out of time to implement their changes for 2021. Tune in! 0:00 - 3:00: Donald Trump would prefer HAM winning his fifth title in the USA over Mexico. But of course! 3:00 - 5:00: The average age of the American Formula 1 is 59 years! Yikes! Will Formula 1 run out of time to implement changes for 2021? 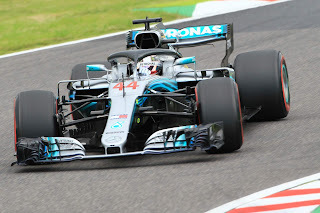 5:00 - 8:00: Addition in 2019: rear-wing end-plate lights; will they work as turn indicators? 8:00 - 11:00: MSC and ROS's records are out to be broken very soon; can Formula 1 rivalries be like they are in the world of boxing? 11:00 - 14:00: Could ALO have won the title for Ferrari in 2018…you think so? 14:00 - 17:00: How is ALO still 7th in the WDC? HOW!? The mid-field battles are really intense. 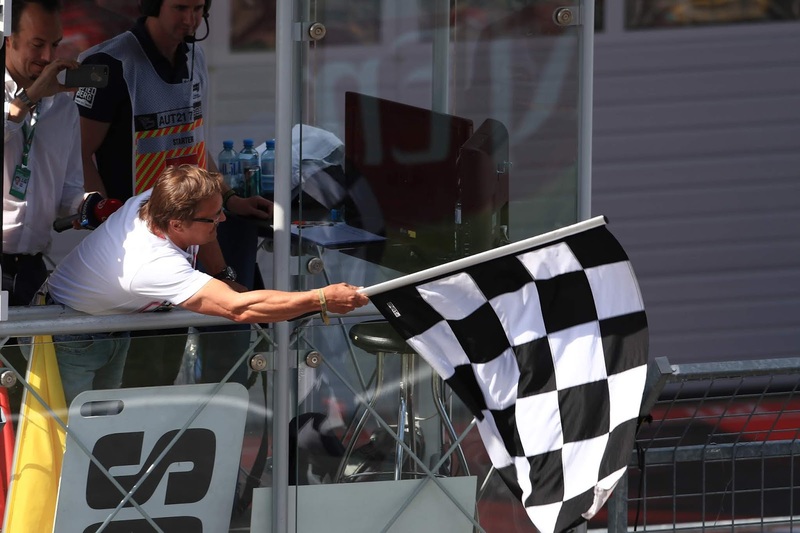 17:00 - 20:00: Digital Chequered Flag in Formula 1? No, PLEASE, NO! 23:00 - 26:00: From no seat in 2019, to a seat with Mercedes in 2020…too good to be true? 26:00 till the end: Moments in Time by Lucien, Predictions & Bye-Bye! 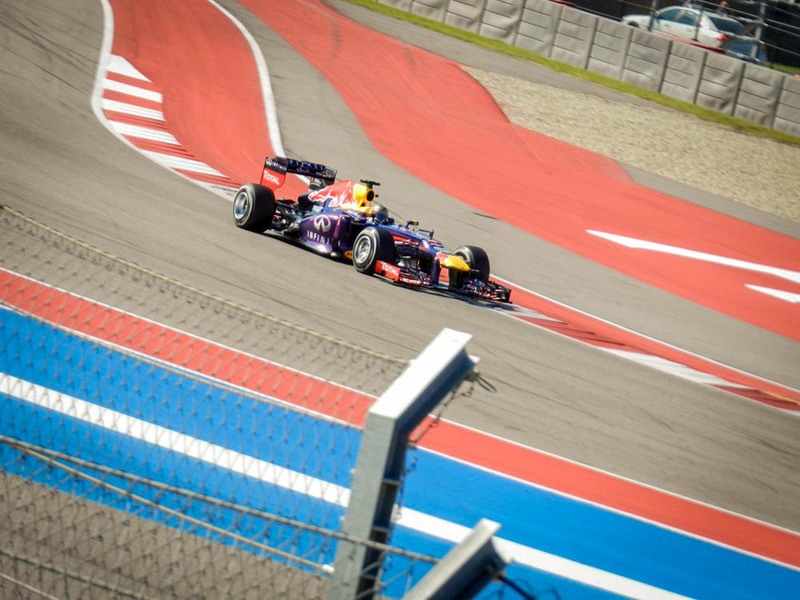 This weekend at Austin the latest Formula 1 world drivers' championship may be decided. But whatever happens it'll have to go some to beat the title showdown that happened in the same country 37 years ago today. If it wasn't necessarily the most thrilling finale it almost certainly was F1's strangest. 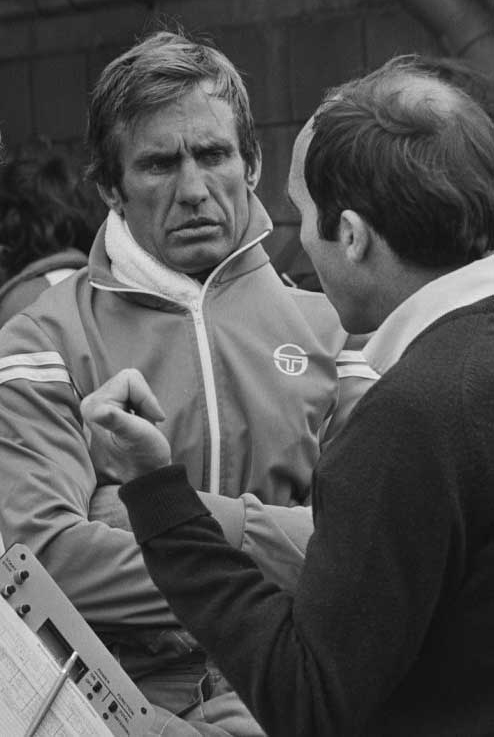 And if you want an enigma, then you can hardly have a more fitting driver in the central role than Carlos Reutemann. In my latest feature for Motorsport Week I look back to 1981, Las Vegas and the unresolved mystery of Reutemann's (non) showing. You can check the story out here. Appropriate to the Lone Star State, F1 therein has a lone star. Lewis Hamilton tends to be untouchable in his visits to Austin, Texas. The numbers pay testimony. He's won five of F1's six Austin races. Taking it back further he's won six US Grands Prix of the last seven. Taking it instead to the most recent general form he's also won six of the last seven rounds anywhere. This weekend for the latest US Grand Prix he'll have the scent of a fifth world championship in his nostrils, so there'll be no shortage of motivation. He beams throughout his Austin weekends and it shows in his driving. For the race win at least backing him seems what they call a no brainer. His odds are appropriately short, but still the 8/13 you can get on a Hamilton victory looks worth your wager. Lewis Hamilton's fifth world championship, up for grabs in 2018, has suddenly became a matter of when not whether. And with this weekend's gathering being the United States Grand Prix at the Circuit of the Americas in Austin, perhaps even the 'when' part is redundant. Of F1's six visits to Austin Hamilton has won five of them; taking it back further he's won six US races from the last seven. He's also won six of the last seven rounds anywhere. Do the math, as I believe the youth like to say. Plus if Hamilton wins again this weekend then the title is done unless his foe Sebastian Vettel follows him home in second. And we have reasons to doubt that Vettel will manage that. 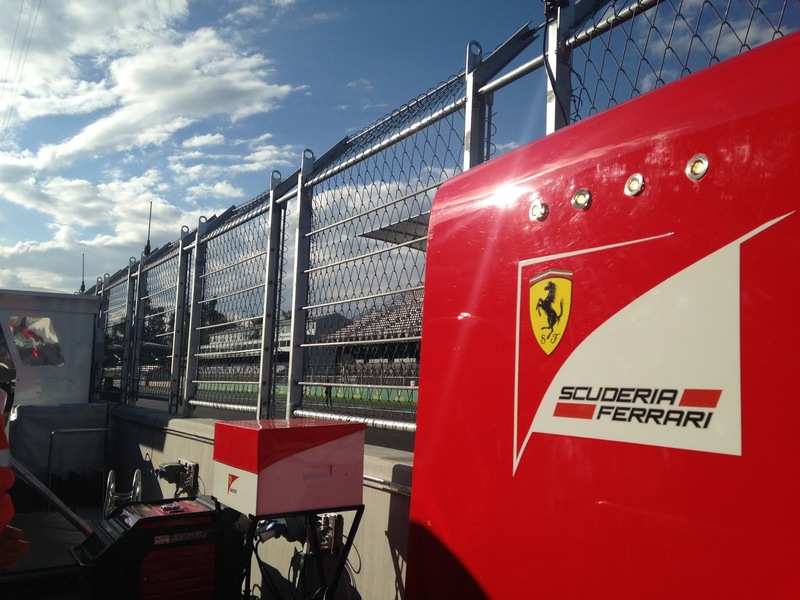 In recent weeks Ferrari has both lost competitive pace and unravelled organisationally. While Vettel, perhaps in the same way that a dog imitates the characteristics of its owner, has similarly wavered. Any one of the last four grand prix results replicated will make Hamilton's latest world crown official. Would You Lose Your Driving Edge With Poor Vision? Driving when it comes down to it is a bit of a skill. You need to be physically fit, mentally aware and most importantly you need clear vision. But when was the last time you got your eyes tested specifically for driving? Did you know that law in the UK says that you must be able to read a post-2001 number plate in good daylight from 20m? A recent report from the police states that 5% of drivers have failed this test when done randomly at the roadside. Perhaps we should all be checking our eyesight periodically? My Car Check is an online database that stores all the information you need to know about any second-hand car you buy, they store information from police, DVLA, insurers and finance houses. Their boss got everyone in there building to go out to the car park and complete the 20-meter reg reading test to help raise awareness of the need to good eyesight when driving. It is a simple check to complete. Simply measure out 20m from a parked car, then see if you can clearly read the reg plate. If you can't read it, then we would recommend you get assess professionally. 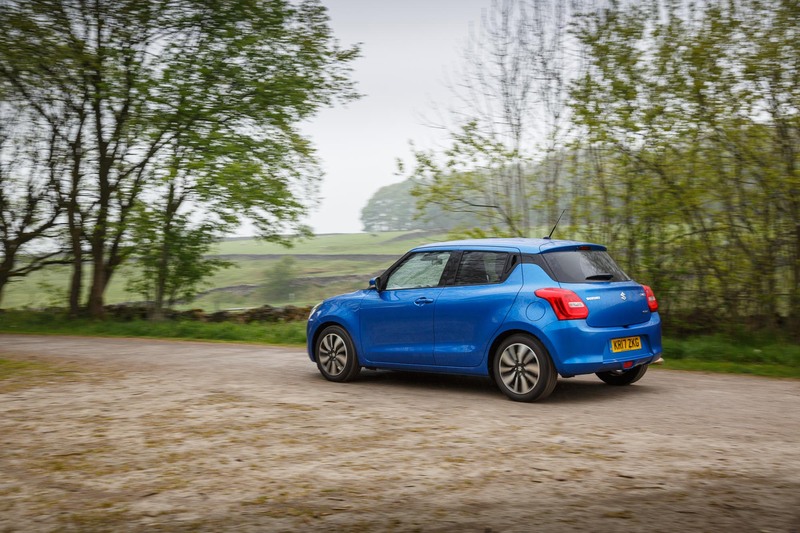 You can either get assessed through a local driver assessment scheme or through a mobility centre. Even with bad eyesight people might still believe that they are fine to drive, but sadly most people don't stop driving until it is too late. People with poor vision have a higher likelihood of causing an accident, and there have even been people killed because of people driving with poor eyesight. More specifically, there is a lot of information online around Cassie's Law, a 16-year-old girl that was sadly killed by a driver who had poor eyesight but refused to stop driving, his poor vision caused him to drive off the road and hit the girl. The law is looking to give the police the power to instantly revoke driving licences from people who fail a roadside eyesight test. If the Japanese Grand Prix felt familiar that's because it was. The themes of recent weeks barely altered; the previous momentum was unchecked - maybe even accelerated. 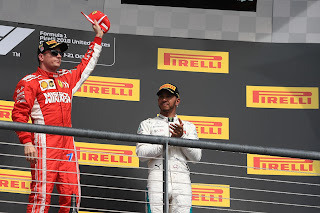 Lewis Hamilton won imperiously. Ferrari if anything got more risible than before. Lewis now has world championship match point. 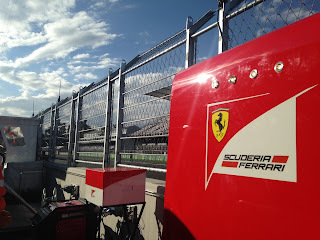 The Motor Verso F1 season summary has been updated with my take on the Japanese weekend. As ever it's illustrated with fantastic Pirelli photography and my selection of the best of F1 content on YouTube. Inside Line F1 Podcast - What Could Be Sebastian Vettel's Future In F1? Will Sebastian Vettel go the Fernando Alonso way? Or will he retire from the sport as a quadruple World Champion? Or will he follow Michael Schumacher's footsteps and take on a team management role? What are the chances of Vettel jumping ship to Mercedes; a German driver racing for a German team and all of that...! Let alone young drivers, the lack of competitive teams in the sport could catch out this former World Champion too! From fighting Mercedes, Ferrari seem to be fighting within themselves. In this week's episode of the Inside Line F1 Podcast, we tell you why Red Bull Racing should sell its vacant Toro Rosso cockpit to a wealthy pay driver. We applaud Daniel Ricciardo's comic timing while also questioning why Vladimir Putin arrives closer to the end of the Russian Grand Prix every year. 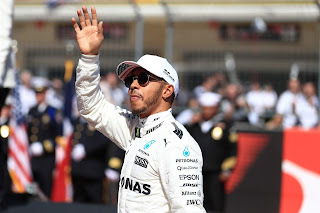 Finally, we predict by what race this season would Lewis Hamilton seal the 2018 Formula 1 World Championship. We picked Brazil or Mexico - what's your pick? Tune in! 00:00-2:00 - Should Sebastian Vettel be called title contender for 2018 anymore? 2:00 - 5:00 - Will Vettel go the Fernando Alonso way? What could be Sebastian Vettel's future in Formula 1? 5:00 - 7:00 - Red Bull Racing to make money from their vacant cockpit at Toro Rosso? 7:00 - 9:00 - Good timing for Ferrari to introduce a new livery? Should Formula 1 allow teams to use one-off liveries? 9:00 - 11:00 - How would Mercedes deploy team orders in case they had a three car team & all three of their cars were 1-2-3? 11:00 - 13:00 - Daniel Ricciardo's comic timing - he cracked a doping joke at the Russian Grand Prix! 13:00 - 15:00 - Why does Vladimir Putin arrive closer to the end of the Russian Grand Prix every single year? 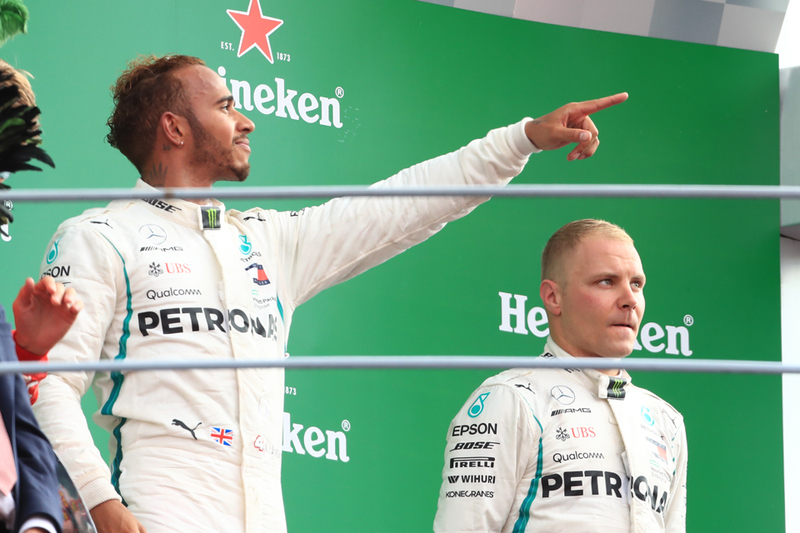 17:00 - 22:00 - Moments in Time with Lucien; by which race would Lewis Hamilton clinch the 2018 Formula 1 Championship? Formula 1 appears to have entered one of its periodic states of inevitability. It's very strange to think that just a month ago there appeared no way for Mercedes to beat Ferrari. Now the opposite appears true. Ferrari seems to have shot its bolt. It was hobbled by operational problems and mistakes in several rounds; more lately it lost its pace too. Lewis Hamilton's form is towering (in results anyway) and his points lead now looks insurmountable. With five rounds remaining all now give the impression going through the motions until titles are confirmed. And this Japanese round coming should increase the sense of the inevitable. It's at mighty Suzuka, which is usually cited as Mercedes country. It has won the last four here and long fast corners are just its thing. Last year Hamilton won and Mercedes was one and two in qualifying (though Valtteri Bottas then got a gearbox grid penalty). Yet in keeping with the Suzuka venue things this weekend may in fact not be that simple. One thing to consider is that, despite appearances, Hamilton hasn't always been that happy here. 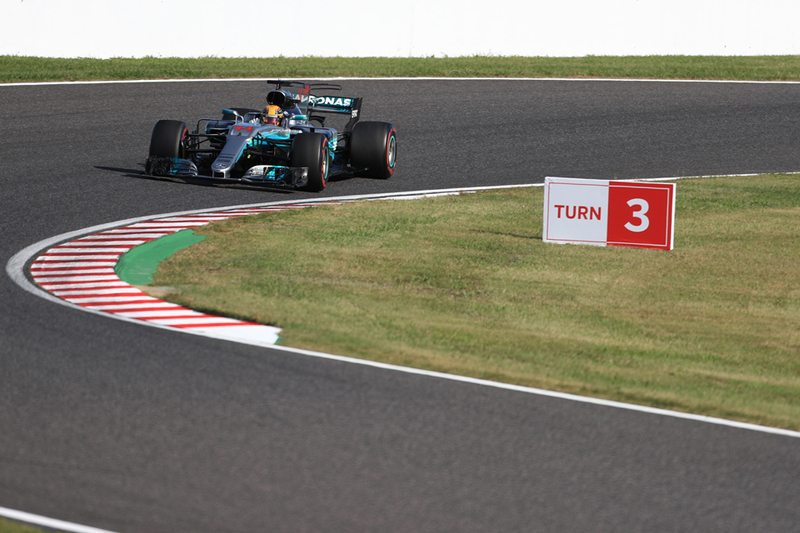 Yes he's won at Suzuka three times but last year was the first time he'd taken pole and by his own admission he's not always found an ideal set-up at this track. And of his three wins one was in the wet and another owed mostly to getting ahead of Nico Rosberg at turn one. As ever the summary's illustrated with fantastic Pirelli photography and my selection of the best of F1 content on YouTube. There is something unmistakably glamorous about F1, which is probably why it still draws in more punters than any other motorsport. 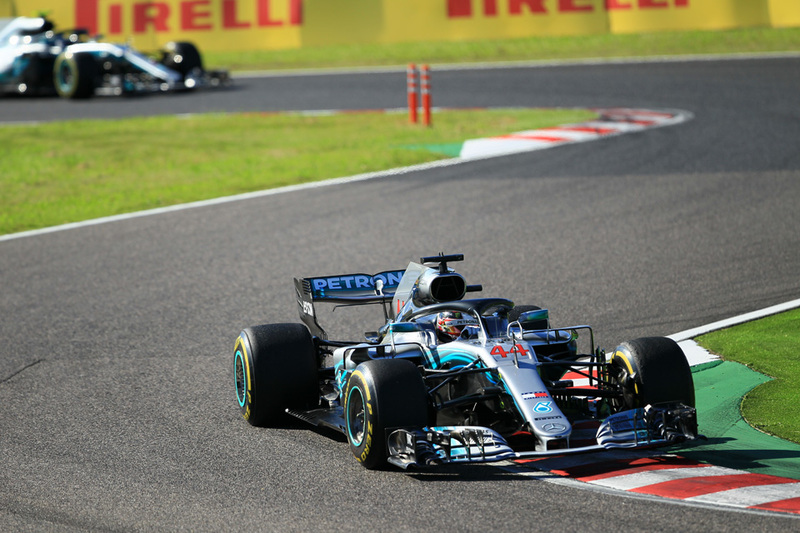 Despite overall slumps in UK viewership, a peak audience of three million UK viewers tuned in recently to watch Lewis Hamilton dominate the Japanese Grand Prix, which is pretty impressive, particularly given that the race aired at 5am UK time! But what is it about F1 that really keeps petrolheads coming back for more? It's not just the speed, and it's not just the ever-present threat of potential disaster; it's the cars. These are perfectly sculpted and precisely engineered feats of mechanical wonder that are a joy to watch tear around a track. However, as beautiful as they might be, they also cost almost as much to manufacture and maintain as the prima donnas that drive them. That's not to mention the amount of logistical planning that goes into keeping your average F1 team afloat. And this all costs. Big time. Bonuses are a major boon when it comes to F1 team funding. Right out of the gate, any classified team that's been racing for the last two seasons gets a $36 million bonus and an additional amount is rewarded, depending on how well the teams performed last year. Bonuses are also rewarded for new signings and there are numerous other prizes and awards that change from year to year, all of which adds up to potentially hundreds of millions of dollars. Every F1 fan also knows that sponsors play a monumental part in keeping most F1 teams afloat and have been a major aspect of the sport for decades. There is also, however, the impact of the road car industry to consider, as everyone from Honda to Ferrari often uses their motorsport and retail groups to fuel each other. Many have argued that F1 has essentially become a glorified advertising platform for manufacturers to promote their latest road cars, but the profits made in road car sales are also often fed back into the sport. McLaren has received major boosts to their automotive road car division in recent years and many of these profits are filtered back into the F1 team. F1 provides manufacturers the chance to show off their latest engineering feats and promote their brand to millions of eager fans. So, of course, the sport is going to have an impact on the retail market and vice versa. Finally, there's also the trickle-down effect to consider. This refers to the technologies being developed by manufacturers for F1 eventually finding their way into the cars we drive to and from work every day. This represents a practical ROI for manufacturers, particularly those whose bread and butter might be in road cars, rather than supercars. Of course, there's a marked difference between these cars in price, ergonomics and performance. There's also the practicality to consider. Can you imagine the GAP Insurance cost, for example, of a Ferrari SF70H if you were planning on taking it out for a bi-weekly spin? Indeed, these cars are so powerful you wouldn't even be able to legally take them out on the roads. There are, however, a number of surprisingly mundane technologies that originated in F1 - from push-button ignition and suspension to engine air intake and carbon fibre bodies. In some cases, there are even noticeable parallels to be drawn between F1 and road car designs. This proves that F1 and road cars are now, and forever will be, inexorably linked. Both technologically and financially.